'Midnight Meat Train' was a solid horror film starring Bradley Cooper and Vinnie Jones that had a novel premise and some terrifying moments along with an entertaining story that avoided the many cliches and pitfalls of many run-of-the-mill horror films today. It was original, fresh and very bloody. 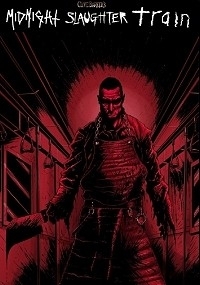 However, some fans were not satisfied with the overly occult ending and wonder what it would have been like if Meat Train was a straight-up slasher. With this edit, the film is recut into a solid slasher/splatter/psychological thriller with an alternate ending. This is Ryuhei Kitamura and Clive Barker's excellent 'Midnight Meat Train' with Bradley Cooper and 'Bullet Tooth' Vinnie Jones recut as a slasher. I focused on creating the most effective and interesting movie possible while avoiding the occult horror elements of the original. I'm quite happy with the final product! 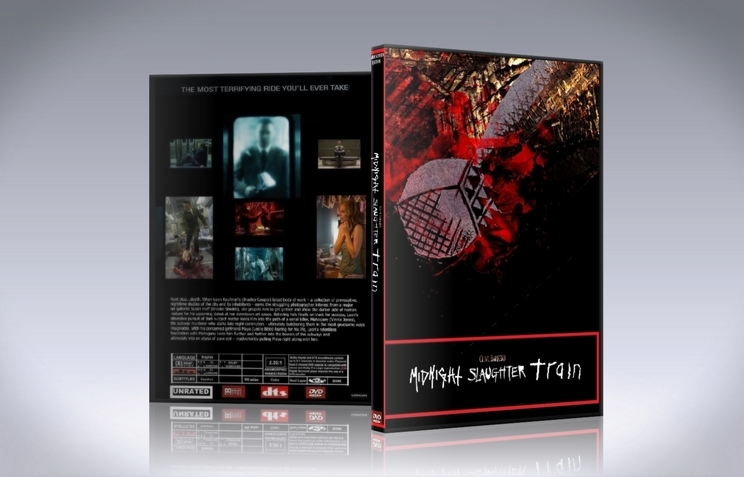 Midnight Slaughter Train is now a straight up slasher/splatter/psychological thriller with a new ending. It would be great to see what someone who had not seen the original think if he/she watches this before the original! JJE-187, for the original idea to make this a slasher, as well as the excellent cover art. - New ending to the Mahogany-Afro ninja fight as the conductor character is completely removed in this cut. Mahogany does not require assistance in this version, no "I'm disappointed in you" line. - Cut Mahogany's line "Welcome"
- Created alternate ending which fits the psychological horror/obsesssive tone of the original and utilizes the original build-up. Overview - One of the better Clive Barker adaptations. This concerns an ambitious, artsy shutterbug trailing a possible homicidal killer (Exceptional use of Vinnie Jones, by the way.). Ranger’s edit removes all references to occult and conspiracy elements, and thrusts this smack into splatter spree territory. Video - Excellent editing, as expected from this editor. New opening credits, well chosen and well done. Story spends considerable time in subway trains, drenched in darkness and flickering light. Blacks solid throughout. Audio - Dynamic 2.0 sound mix. Dialogue generally clear, bit murky at noisy junctions. No subtitles. Quite a bit was removed for this version, but no audio giveaways. Nice job. Narrative - Some odd things persist. The butcher is still cutting those “chest scabs” during one scene. No explanation whatsoever. Which is OK. In Ranger’s version, the butcher is an inexplicable force of Nature, compelled to murder, though patient enough to wait for the lonely opportunity. The randomness of the attacks is particularly chilling. Enjoyment - Take the A-Train, baby. I enjoyed this slasher ride a lot. In the original, and I know others will regard this as blasphemy, I considered the demonic angle distracting, if not silly. Here, the butcher is a twisted soul. Because we cannot tell what formed him or what compels him, he becomes a rogue cancer cell in the community. As much as the butcher is a slave to his impulses, the photographer is equally troubled. His narrative is one of obsession becoming compulsion. He is increasingly drawn to darkness, forsaking the light. Despite the gore and violence (squeamish souls, take note), this film is bleak, cold, despairing at times. Perfect, nonetheless, for urban dwellers who walk the half-lit 2:00 AM streets and try not to glance over their shoulders.